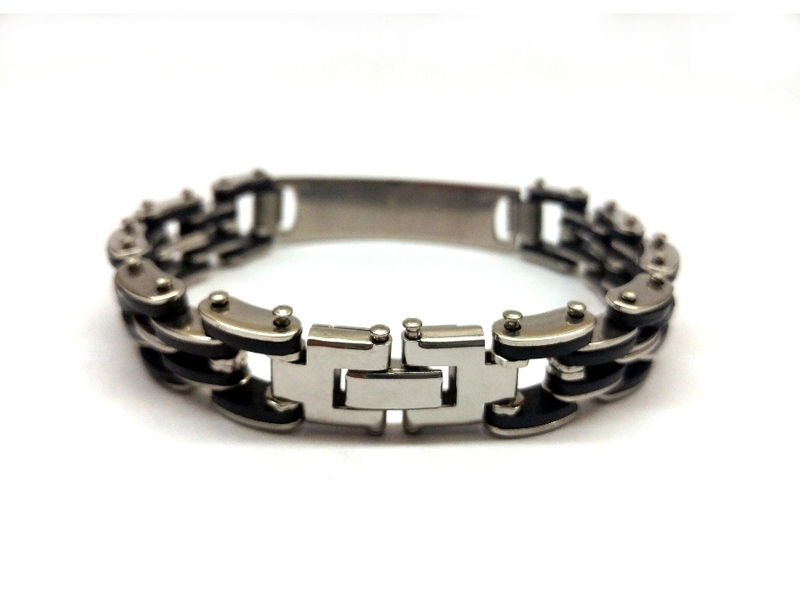 This is clean and contemporary stainless steel and rubber link bracelet with engravable stainless steel plate. 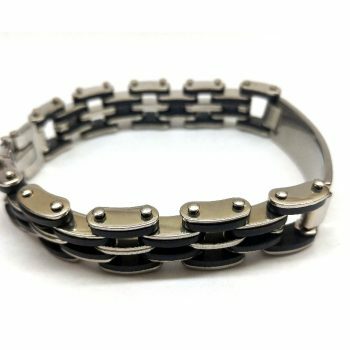 The stainless steel are links interwoven between hard black rubber links. 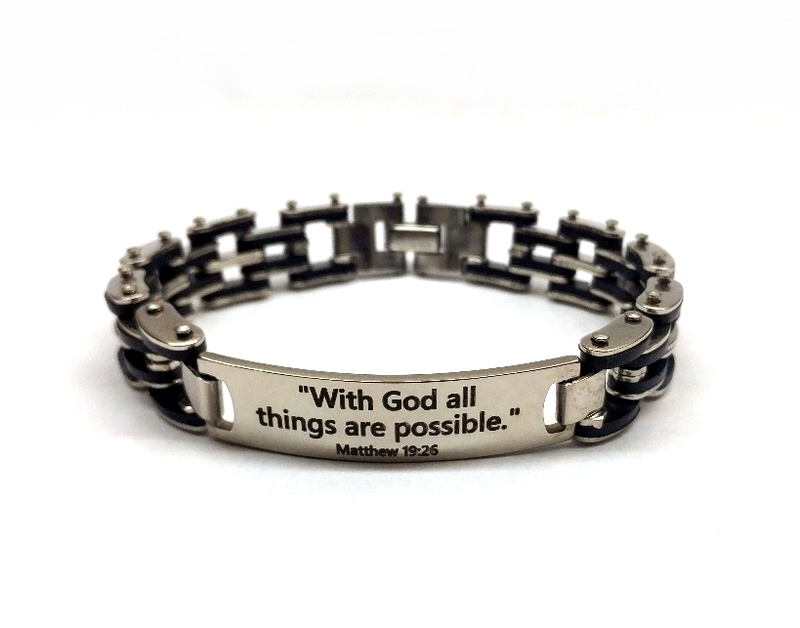 The plate can be custom engraved with your favorite scripture or wording, or even a single word shown in the images. 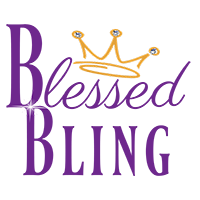 You can choose from our scripture selections or order a custom verse. 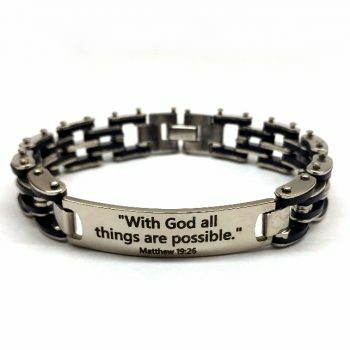 You may also add custom engraving to the back of the bracelet. 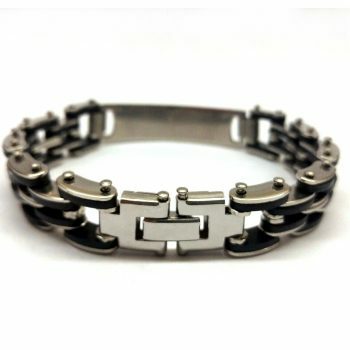 The bracelet is an 8.75 inches in length. 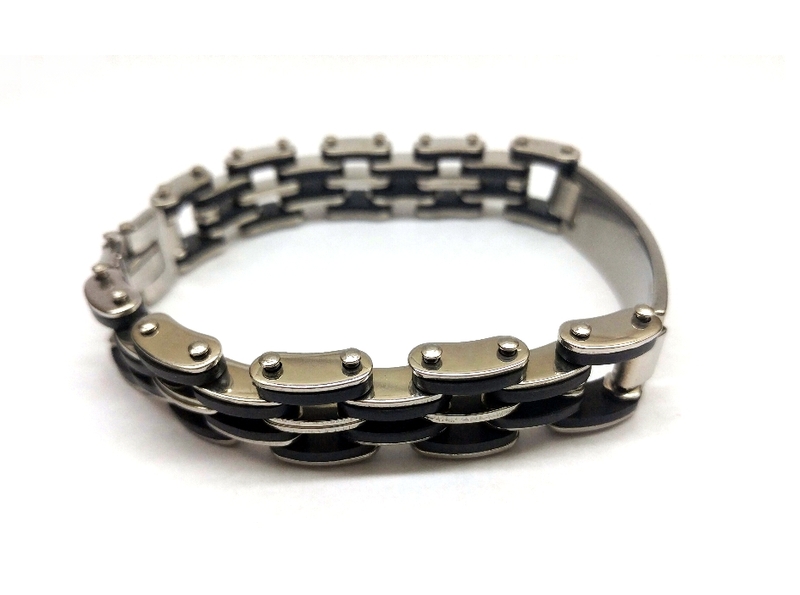 The width of the bracelet measures .50 inches at the widest part of the link.